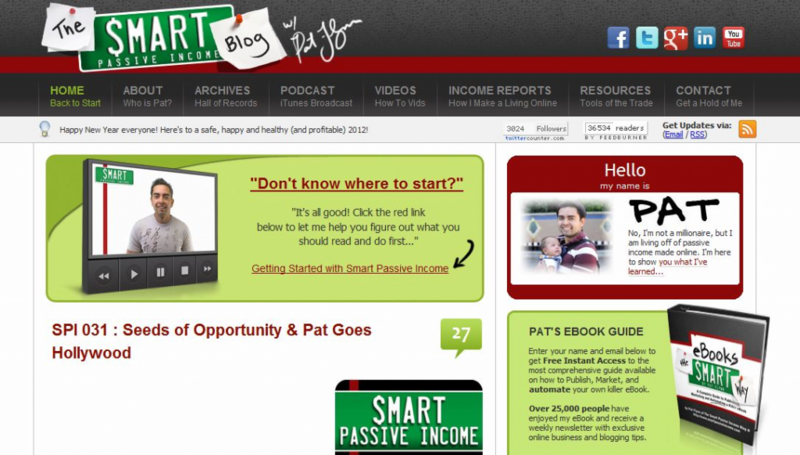 This is a big week here on Smart Passive Income! 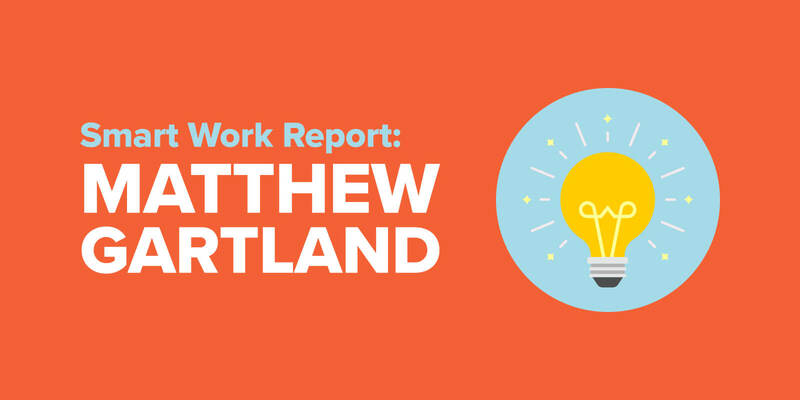 In case you haven’t heard, the new redesign of the blog goes live this Wednesday, April 6, and I couldn’t be more excited to reveal this upgrade to you! 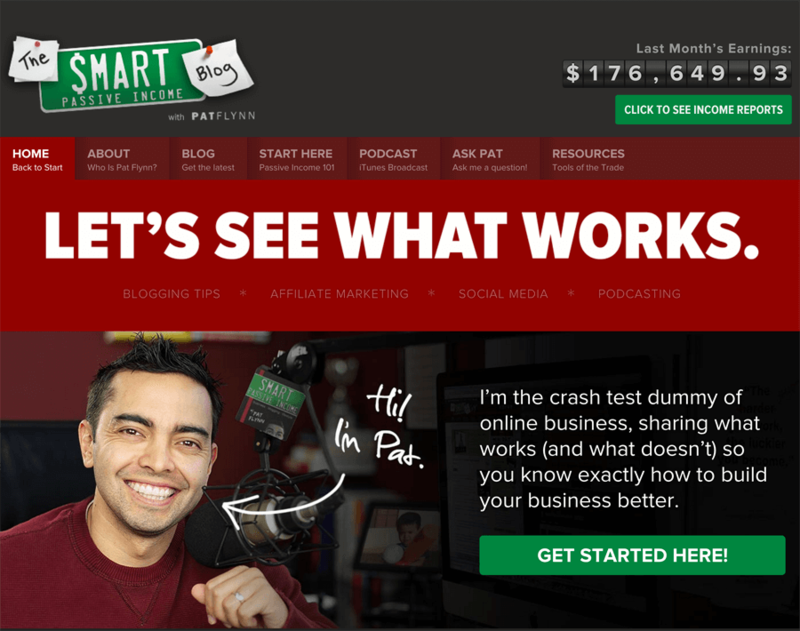 The site isn’t “broken,” per se, especially if you look only at the growing numbers (traffic, conversions, and income), but after a lot of digging, survey analysis, and research, I realized the website was definitely due for a major improvement. In this post, I’ll let you know what those findings were, how we’re looking to solve them, and show you how you can tell if your site is due for an upgrade too. Coming from the world of architecture (my previous profession), I’m very much in line with having good design in the work that I do, but there’s one aspect of that which is often overlooked: functionality. In other words, looking good is great, but when it also works and does its job, that’s the ultimate combo. 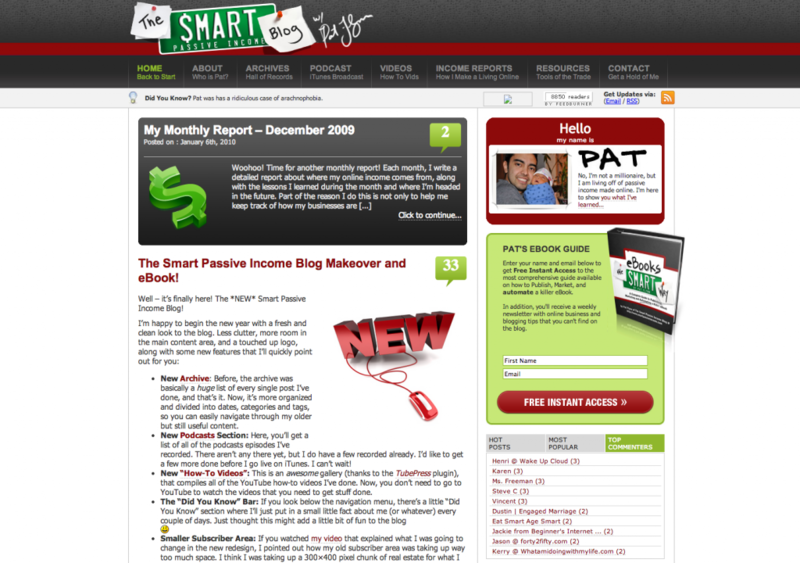 In previous design iterations of the SPI blog, it’s been a constant battle between balancing design with functionality. What I mean is that I learned the website wasn’t serving its purpose of being as helpful as it could be. In conversations I’ve had with hundreds of readers over the past year, and through feedback I’ve gathered in surveys, I discovered that the website does a terrible job at helping you find the content you need for the specific leg of your journey. Your options are: the latest podcast episode and the latest blog post. Podcast episodes and blog posts cover a wide range of topics, and the chances that someone will find exactly what they need on the homepage are slim. The way it’s setup is pretty narrow-minded when you think about it. “Look at my latest stuff, you’re going to love it,” is essentially what I’m saying, and it doesn’t take into consideration what might be most helpful to you. One of the first steps was to audit the content here on SPI. With more than 1,000 pieces of published content, there’s a lot of information here that’s useful, but also a lot of information that is no longer relevant or in need of updating. Taking much of the advice from Todd Tressider in Session 200 of the SPI Podcast, Team Flynn and I performed a content audit to tighten up the content and make all of the articles relevant to the audience. Some posts were redirected to other posts, some deleted, and others updated. Taking the audit one level further, we went heavy on thinking about how to divide the content into buckets that can better serve you based on what is relevant to your needs. We’re calling this your part of “the journey,” and you’ll notice on the new homepage that you’ll be able to select or toggle the view, which will allow the site to help you find content that’s relevant to where you are in the journey. Maybe you’re just starting out. If so, then you don’t need to see the advanced stuff yet. If you’re in growth mode, then you don’t need to see the articles about building a platform. Stuff like that excites me, and I’m super stoked to see how everyone responds to the new setup. I won’t give away much more than that right now, but it’s going to be awesome. Instead of showing only the latest post and podcast, we’re going to show you the most relevant posts, and not just one or two, but several that relate to your journey. We’ve formatted the homepage (both for desktop and mobile) to help you find what you need easily. Search functions on WordPress sites are typically very poor, but we’re going to change that in two phases. First—a design improvement—we’re going to serve up more results and make them easier to scan. Second, our plan for later in the year is to connect with a tool that makes search even better, with real-time as-you-type search results (similar to Google). 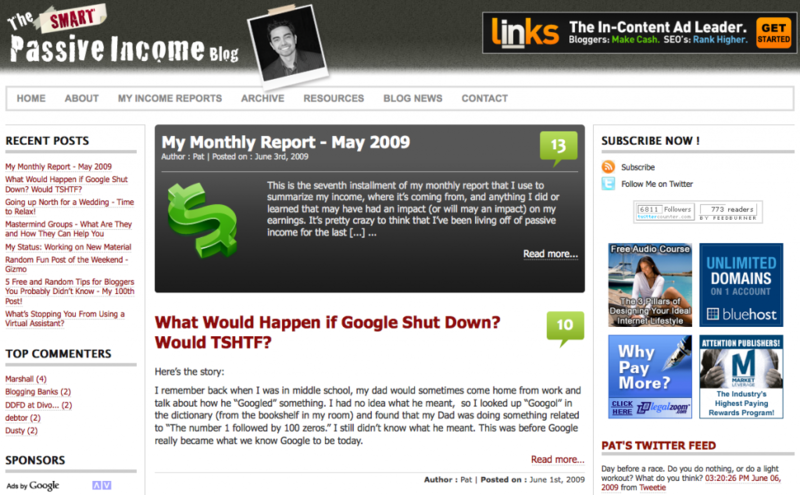 We want to deliver more sophisticated results based on more than just blog post title and category. This will enable us to track the most popular search queries and serve up specific results for those tracked queries. The main purpose is, again, to make finding stuff easier. I’ve spent countless hours writing these posts to serve you, and unless they are easy to find, they almost have a lifespan of just a couple of months, when they should be evergreen. By doing all of the above, because it helps with overall user experience, which should keep people on the site longer, the search engine rankings for various articles across the board should naturally improve. 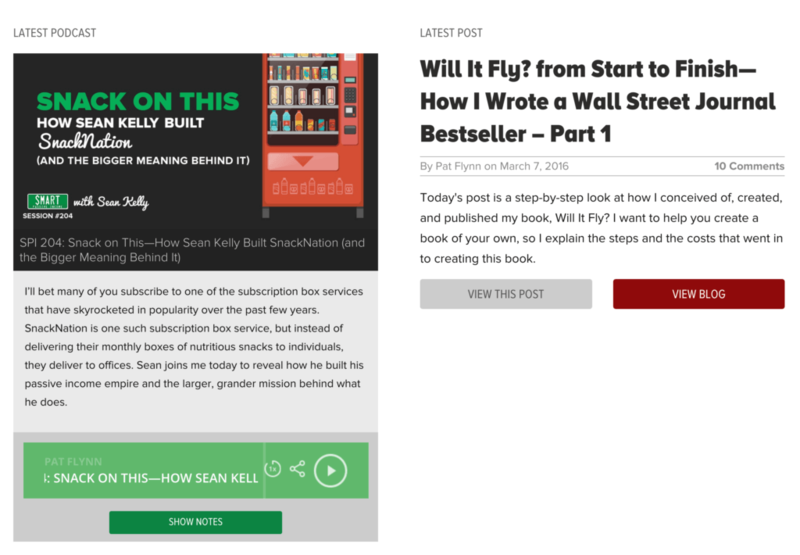 Part of what makes a blog useful is how easily a reader can get through the content, and we’re implementing a number of tactics in the redesign to keep readers reading, and make them feel good about doing so. We decided to open up more reading room and go full-width to give additional space for the eye, but also provide some interesting opportunities within the content to break up the content a bit and make it more digestible. One level of breaking up a post so it’s not a giant block of words is to use sub-headers to denote a new section. The next level is what you’ll see in the new design, where specific kinds of content within a post have their own special design treatment, such as pull quotes, quotes from people, images, other kinds of media, resources that are mentioned, and more. 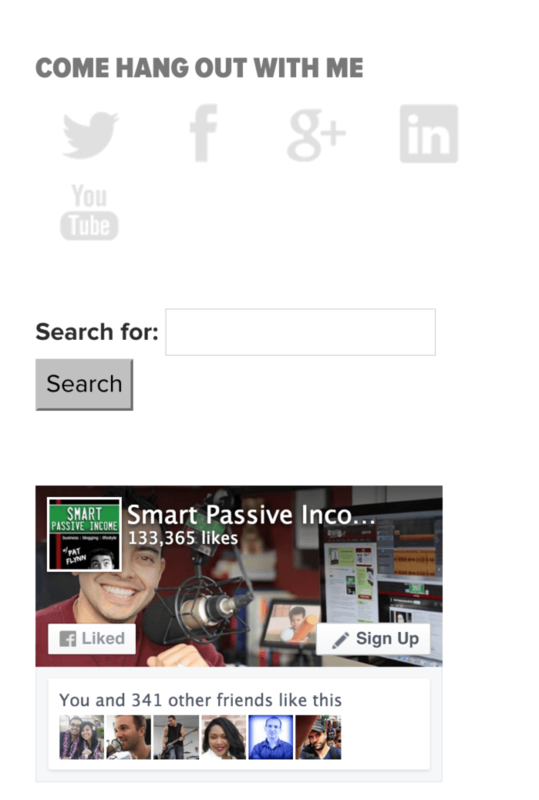 This will create a nice rhythm when you’re reading a post, and make it easier for you to keep scrolling down the page. For podcast sessions and SPI TV episodes specifically, we’ll be pulling out useful information from the interview—like the interviewee’s name, important links, and resources—into the side bar, closer to the top of the page. There have been a few pages that I’ve always wanted to have on SPI that have never been built, and I’m finally happy to be including them in the new website. One example is my speaking page. Speaking on stage is something I love to do, have been doing a lot, and would love to do more, which is why it’s pretty insane that I have waited so long (almost five years) to build a page for it. The purpose of this page is to highlight myself as a sought-after public speaker to potentially get hired for more high-paying speaking gigs down the road. This page will include testimonials from conference directors and founders whose conferences I’ve spoken at, a list of topics that I can speak about, as well as a schedule with upcoming events so others can see when and where I’ll be. Another page that will be included in the new design (not in phase one) will be Success Stories from people who have taken action on concepts and strategies learned from reading or listening to SPI. There are so many success stories I want to share that will inspire many people (just like Shane and Jocelyn Sams did in Session 122 of the SPI Podcast! ), and I wanted a place to house them all, and collect more. 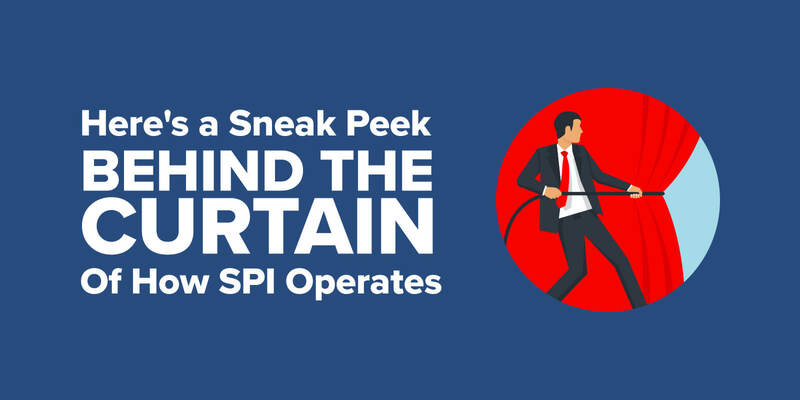 I think this will became a big focal point on the site in the coming year, especially for those who doubt—not just those who aren’t sure about SPI, but those who are unsure about themselves. We’re also developing a page for the philanthropic work I’m doing, such as that with Pencils of Promise, building schools around the world, and the work at homeless shelters teaching entrepreneurship. I also have big plans within five years to create something of my own to make a bigger impact in this world, and this page will definitely be the start of that journey. More on that coming, I promise. I want you to have fun exploring the new site on your own when it comes out. There’s a lot I’m leaving out of this post because the discovery of these new features (and potentially some easter eggs if you can find them!) will be fun, and also allow you to learn how the site can help you. Most importantly, like I said, I’ve listened to you tell me, both in person and in survey form, that the site needs to do a better job at giving you what you need depending on where you’re at and what you’re looking for, and I know this new site will give you an experience unlike on any other personally branded site on the web. Come back on Wednesday April 6, and let me know what you think. Cheers, and thank you again for your support and encouragement!